It’s all in the definition, what’s yours? This might be an exaggeration because a few new teachers are hired every year, but the point is important. A glut of teachers has been created by recent staff reductions. Independent School District is hiring elementary, middle and high schools teachers. We define the educated person as one whose intellect is understanding and imaginative, whose character is strong and courageous, and whose spirit is humble and generous. Applicants should possess a bachelor’s degree in education and complete an application in which they describe how they model and teach those virtues. 1. Test scores go up. 3. Second language learners welcomed into the school community. 4. Struggling students with more opportunities for success. 6. High morale — those who aren’t six-virtue teachers would leave, affording more opportunities to hire six-virtue ones. 7. Teacher & student leadership grow. The list could go on and on. 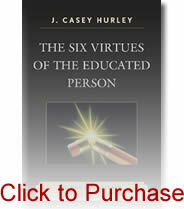 The six-virtue definition of the educated person is the key to hiring “educated” teachers. Without it, school districts will miss this opportunity, and tomorrow’s teaching force will be just as uneducated as today’s. All school boards have to do is believe in the six-virtue definition of the educated person. It costs nothing, which makes it the holy grail of school reform — improvement at no extra cost. If you are a school board member who believes in a different definition of the educated person, please share it in a “comment.” Or nominate a virtue that is not a combination of these six. Or describe a knowledge or skill that can be learned without the six virtues. An OB-GYN in St. Louis is under fire after posting a Facebook status about one of her patients. According to KMOV, Amy Dunbar, a physician at Mercy Hospital, was so frustrated with an expecting mother’s lateness that she ranted about it online. Did you really “rant” about a patient being late? Surely you realize we “regular” people have to wait 40-80 minutes in uncomfortable waiting areas every time we have a medical appointment. Surely your medical school taught you to schedule your days so you never wait for patients, even if that means they have to wait for you — 20 minutes in the lobby and 30 minutes or more in the exam room. I love the irony of an MD being unhappy because someone was late. It’s simple, if you want your patients to be on time, be on time! And don’t give me that “we are short of doctors” crap. If we are short of doctors it’s because your medical schools limit enrollments so we ARE short of doctors. And the AMA keeps it that way, not because it is difficult to become a doctor, but so you can charge ridiculous prices for the marginal services you provide. Or if you did more to educate the public about prevention, your patient load might decrease enough that you could be on time once in a while. But that would blow your cover — the great myth of the busy, devoted MD, whose time is more important than everyone else’s. What a crock! If you want veneration, be on time once in a while. “The Common Core: Educational Redeemer or Rainmaker?” (Teachers College Record (TCR), 2012) argues that common core advocates profit from its implementation. We should not be surprised. Just like other American institutions, public education is now driven by the buying and selling of goods and services. Some say this is good because capitalistic principles and practices are positive social forces. If you believe we should define 21st Century skills, but not define what it means to be educated, check out this blog or download this PDF. If you realize that modeling and teaching the six virtues covers these skills, read here. Improving schools is difficult. Don’t make it complicated. 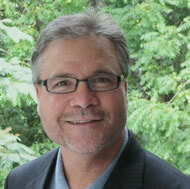 A must-read for school personnel is Lee Bolman and Terrence Deal’s Reframing Organizations (RO). It uses clear language to explain an idea that is so simple it can be remembered and applied in even the most complex, hectic, school situations. When applied to schools, the theory behind RO is that educators acquire a full understanding of school situations by looking at them through four different “frames:” (1) structural, (2) human relations, (3) political, and (4) symbolic. The title of the Education Week blog, “Curriculum Matters,” is a play on the two meanings of “matters.” It addresses all kinds of curriculum issues (matters); and because curriculum influences everything in the school, it “matters” above all else. That is why blogger Catherine Gewertz described how principals are being brought up-to-date on the implementation of the new Common Core curriculum.